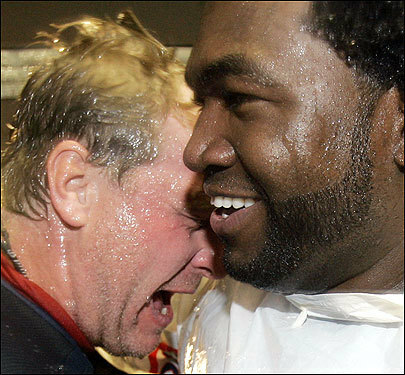 Red Sox pitcher Curt Schilling (left) and designated hitter David Ortiz celebrated their American League Division Series win over the Los Angeles Angels on Sunday. Schilling picked up the win with seven shutout innings. Ortiz did his part with a home run.